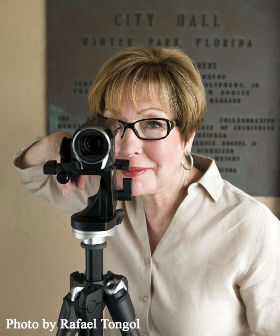 Shawn Shaffer has left her position as Winter Park Public Library Executive Director effective August 3. Consultant Cynthia Wood will step in as interim executive. director while the Library Board of Trustees engages in a nation-wide search for Shaffer’s replacement. Cynthia Wood Named Interim E.D. Cynthia Wood was Vice President of Institutional Advancement at Rollins from 2002 until 2008. In 2009, she formed a consulting firm, Cynthia Wood, Philanthropy Partner LLC. She has guided various organizations in capital and programmed fundraising readiness, strategic planning and establishing sustainable fundraising systems. The Library Trustees have also engaged Minana Hall as full-time capital and annual development professional. Hall brings 25 years of experience changing the development face of various institutions such as the University of Tampa, the University of South Florida at St. Petersburg and UCF. 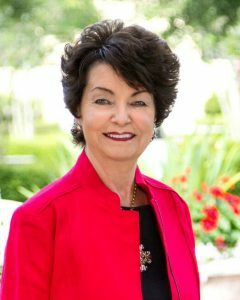 She has experience working with foundations and volunteer boards to develop major and planned gifts and annual giving. Sabrina Bernat, who was Shawn Shaffer’s assistant director, will oversee day-to-day library operations. Since Bernat has been involved with the library design team from the outset, she provides continuity and operational expertise. A representative of the Library Board of Trustees issued the following statement. OK. Let’s have the real story now. How much has WP Library fundraising declined since the five amigos on the Dias decided to steal our library and build the monstrosity in MLK Park? Is ANYONE in town giving money to the library now, or has that all dried up? Not talking about “pledges” or contributions to the new library project. All the other money that the library raises from the public in the form of donations to meet its annual expenses and endowment goals. Have the resident donors who heretofore helped fund library operations with their contributions over the years pretty much said they are no longer interested in supporting a City that is kicking them out of their Fairbanks reading home and sending them a half hour away (on a good traffic day) to check out their book? We used to donate to the WPPL: money and books and DVDs to New Leaf bookstore. We used to attend events there, and loved the community-centered culture and ambience. But the atmosphere has felt odd and off since the previous director Bob Melanson retired so our family and most of our neighbors (all decades-long WP residents who used to visit and support the library) rarely go there to borrow books and never attend events. No one we know plans to go to the new library. We have already started to use the Orange County libraries and Maitland Public Library instead. The OCLS libraries are quite shabby, but focus on serving the public in a broad sense and have a normal ambience. The Maitland library has an upbeat and positive ambience, similarly to WPPL during the Melanson era. We now donate books to the Orange County Library, and support the Messiah Choral Society, the Bach Society, and the Morse Museum (by purchasing multiple memberships and shopping at the store). We are proud of these organizations and feel they enrich our lives and the larger community. This whole Library thing has a very bad odor, I say start over. In the interim refurbish the existing library and immediately stop the destruction of the R Murrah Center. We’ve come a long way with this project now known as Canopy — but we still don’t have 100% public buyin. What’s a fundraiser to do? As a concerned citizen, I offer the following suggestions that might increase our comfort level if they were to come from the Library Board. – The Library Board apologizes for the confusion and lack of transparency in moving the referendum. We could have been more forthright and more honest. We know that. It was a close vote. We understand that question marks loom in many citizens’ minds. We must address this. – A project of this size and scope will run into cost over-runs. We will continue to work With the City to make sure these are minimized. A healthy contingency fund will be critical. – A library is not a building. It is an organic touchstone for this community. It is a rare tool which bridges all generations. It can change lives. – The vision for the campus and its benefit to the community has been piecemeal. We will seek greater input from our citizens and residents. Your voice matters. A library belongs to its patrons, to you. – The new brand is the Canopy. We will work overtime to preserve the existing trees which grace the site. We will exceed expectations. Thank you for your trust in us to deliver on this pledge. – We will honor the Park. MLK Park is a community treasure. We will enhance its community value. We will enhance its status. We will work to bring more resources to maintain its integrity. – We will take a leadership role in honoring the Park’s namesake, MLK, Jr. To date, there has been no acknowledgment of his legacy in this Park. We’ll work to correct that. – We will work to inspire your trust. – Won’t you please give?